10 Natural Antibiotics MORE Powerful Than Conventional Medicine! When you have a cold, do you reach for your medicine cabinet or for your fridge? Although conventional medication has it’s perks, in terms of its convenience and speed, relying on drugs can lead to terrible consequences. Antibiotics are used to kill harmful bacteria that cause infections and illnesses. Antibiotic resistance happens these bacteria become resistant to the antibiotic drugs used to treat them. This occurs because people misuse or abuse of their medication, potentially causing major health hazard around the world (1). Before antibiotics were discovered, humans relied on medicinal plants to treat their wounds and infections. Many of theses plants are still in use today. Here’s a list of natural alternatives that can help combat antibiotic resistance and can be used for mild infections safely. You probably eat a lot more oregano than you think, in fact, it’s used in many dishes, from pasta sauces to pad thai. It’s also long been used as a digestion aid and a weight loss tool. 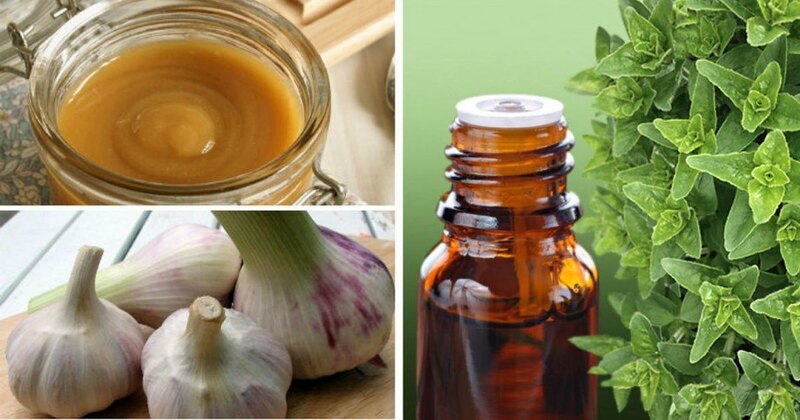 The essential oil of Origanum heracleoticum L. fights many kinds of bacterial infections, particularly those of the digestive tract, like E.coli (2). For best results, eat it raw. Raw, unfiltered apple cider vinegar works as an antiseptic and antibiotic by alkalizing your body, creating a deadly environment for acid-loving bacteria. It can also lower blood sugar, treat joint pain and works as a powerful decongestant. Just take a spoonful with hot water if you feel a cold coming on (3). Honey is one of the most time-tested antibiotics, antimicrobials, anti-inflammatories, and antiseptics known to man. It can be used both externally and internally to treat and prevent infection. It works because an enzyme found in honey releases hydrogen peroxide. It also helps your liver and immune system get rid of toxic waste (4). For best results, use organic, raw honey. Out of every variety, Manuka honey has the most potent healing abilities. Turmeric is a natural antibiotic and anti-inflammatory food. It’s well-known for its ability to fight Helicobacter pylori, the bacteria that causes ulcers and gastritis. The spice can also fight viruses, fungi, and parasites (5). It’s often consumed as a tea or mixed with honey to create a healing paste for wounds and skin infections. It also help boost brain power, ease arthritic pain, and treat fatty liver disease. Garlic can be used to treat fungal, viral, parasitic and bacterial infections (6). Its powerful compound, allicin, is most effective when the bulb is crushed and exposed to air for 15 minutes before being consumed. However, there are a few important things to keep in mind when using it as an antibiotic. The Journal of Alternative and Complementary Medicine published a study that found grapefruit seed extract (GSE) effective against more than 800 forms of viruses and bacteria, more than a hundred strains of fungus, and many parasites (7). Its high levels of antioxidants support the immune system, alkalizes the body and boosts healthy gut bacteria. Its efficacy through topical application is comparable to conventional antibacterial ointments (8). Echinacea species are native to North America and were used as traditional herbal remedies by the Great Plains Native American tribes. Later, settlers followed the natives’ example and began using echinacea for medicinal purposes as well, even gaining government attention as a medical substance from 1916-1950 (9). Echinacea is most well known for its ability to prevent and shorten the duration of the cold and flu. It can also be taken as a preventive measure if you feel a cold coming on. Cabbage is a cruciferous vegetable, like broccoli and kale. Its sulfur compounds are known to fight harmful bacteria and yeast (10) and the high levels vitamin C it contains boosts the immune system. You can incorporate more cabbage into your diet by adding it to soups, drinking it as a juice or making coleslaw. Extra virgin coconut oil can be used in so many different ways that there really is no excuse not to have some on hand in your home. From boosting your immune system to cleaning your teeth and controlling blood lipid and sugar levels, it can truly do anything! Coconut oil was even found to destroy the cells of C. difficile thanks to its lauric acid, capric acid, and caprylic acid, effectively protecting you against the deadly infection (11). Just add a spoonful to your coffee or take it straight with a bit of honey. Unpasteurized cabbage, homemade pickles, kefir and probiotic yogurts supply your gut with healthy bacteria and feed pre-existing bacteria. Since your gut is the most important part of your immune system, these foods really prevent and fight infections by promoting gut health. Taking pharmaceutical antibiotics kills of your healthy gut bacteria, so make sure to take probiotics after recovering from a conventionally-treated infection. 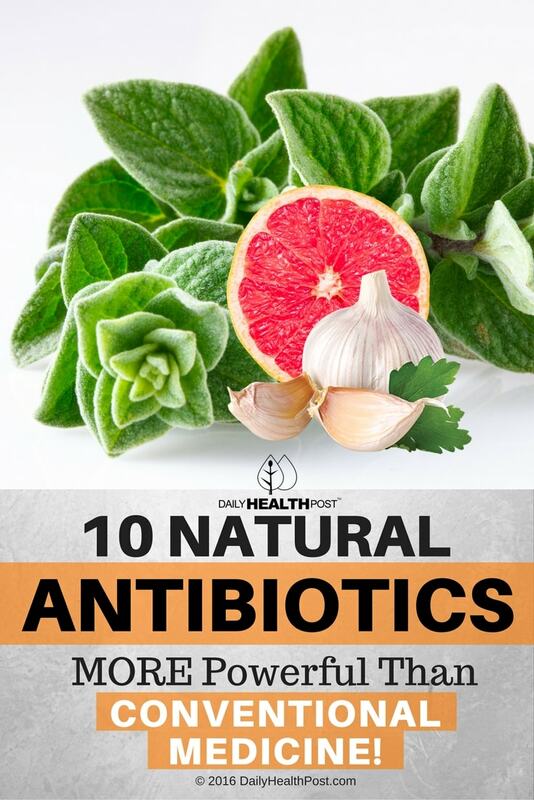 Latest Headlines » Wellness » 10 Natural Antibiotics MORE Powerful Than Conventional Medicine!